WHAT HAVE I LEARNT FROM BLOGGING? ONE YEAR ON. So All That B turned one last week and unlike so many other bloggers I decided not to do a blog birthday giveaway, sorry not sorry. Instead I wanted to reflect on everything that I have learnt from blogging and about the blogging community during my short time as a blogger. It hasn't always been easy but it certainly has never been a chore or a hardship to be involved in. One year ago I was in a very different place in my life and I was struggling to find a way to improve my mental state and just didn't see how my life was going to improve or how I was ever going to survive the depression and anxiety that was increasingly eating me up from the inside, out. One year on and I am a complete shadow of my former self, now I wouldn't say I am completely cured, I don't think depression/anxiety ever leaves people who suffer from it. It just gets easier to manage as you find things that successfully distract you. I feel like all the bad feelings and thoughts are so much weaker now and only come out once every blue moon and my positive vibes are so much stronger and take centre stage, it feels SO good. Blogging has made a HUGE contribution to the rise of my positive feels, it has given me back my voice & my personality, for that I am SO grateful. I really want to thank every single one of you who read my blog & follow me on social media, or should I say put up with me on social media? Your continued support surprises me every single day, I never thought I would find my happiness again and you are a huge part of helping me achieve it, so thank you, thank you, thank you. 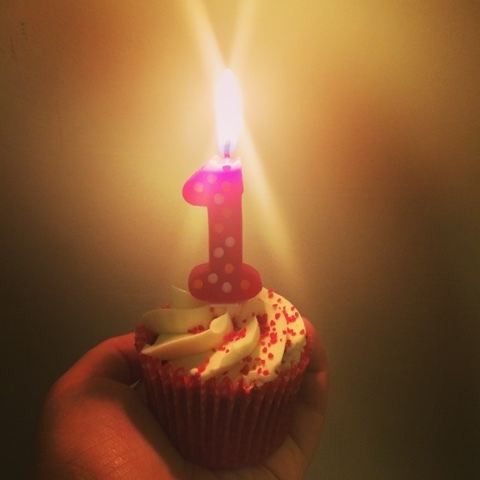 SO WHAT HAVE I LEARNT FROM ONE YEAR OF BLOGGING? 1. The blogging community is AHHH-MAZING. I have made some friends for life through blogging and I am really excited to get to meet them all, hopefully this year. This community is so supportive and loving, I just can't even deal sometimes with how nice some people are and it's one of the reasons I continue to blog. Yes, there are some proper dickheads (classy reference there Rebekka!) that I have also crossed paths with on this journey but you get that with everything in life, not everything can be sunshine and lollipops at all times, it's as false as the bloggers who preach it. The best thing about the blogging community is that it's okay not to be okay and people will support you and advise you in any way that they can and for that reason, I will forever remain part of this community. 2. It's not all about goody bags and freebies, let's face it, everyone does LOVE a goody bag, we can't lie about that. However, as cliche as it sounds I get more satisfaction out of a post that gets thousands of views and great feedback than I do out of a free skincare sample. When you're a new blogger and you get inundated with offers of freebies it's hard to say no, but really after a while it's not that great. You are investing time and your reputation into your posts do you really want to be known as the blogger who writes for a 5ml sample of skincare or a free dress from a low budget boutique. Nobody cares about that. I now only except freebies for posts if I would actually purchase the product myself and I know that my readers would be interested in them. I have wrote ONE post that was sponsored by a freebie in the post and it was something I use all the time and would genuinely recommend purchasing to my best friends, let alone my readers. One of the biggest lessons I have learnt is to recognise my self worth and what I believe my blogs worth to be and I swear by reminding myself every time I open an email from a brand. 3. I am the worst photographer in the world, you may or may not have noticed but it's my biggest vulnerability in my work and I bloody hate it. I am so embarrassed by how terrible I am at this and I am learning new things every single day about lighting and about how much work people put into their blog photo's compared to me. I often just feel like a fraud, I take pictures with my iPhone and I take my pictures any time of the day. My lack of knowledge and relevant equipment annoys me and it's one of my goals for this year to really improve my photo content, so watch this space. 4. Blogging isn't as simple as it sounds, it is REALLY hard work. It pisses me off, massively, when people say to me "so what you get freebies and then you just write about them?" People don't even realise the work that goes into blogging from spending half my life on social media making sure I am staying relevant, brand consistent and getting involved with blog chats. You then have to take the perfect photo for your blog post that can take HOURS to achieve. You have to be constantly thinking up good, readable content and yes it's not as hard as working on a building site, physically, but you work all hours of the day, whenever you can fit it in really. It sounds like I'm moaning, don't get me wrong it's tough to maintain but I love my blog and my career so it's worth every second. 5. People who blog and don't want to be successful from it financially are liars, everyone is trying to make money and we always want more and I want exactly that. I mean I would still write even if there was no money to be made but there's not a blogger who out there who isn't trying to write the next viral post and become the next big blogger. I have learnt that my time and my blog is worth being paid for and if I could ever do this full time, life would be pretty sweet. 6. Building a blog is not an overnight process and it takes a long time to build readership and followers. If you're lucky enough to go viral and get 100K twitter followers in a week, then well done you, but it's not realistic and it doesn't happen like that in reality. I am still learning so much even after 12 months of blogging. I still know very little when it comes to this extensive business, but I love that and I embrace that I am learning new skills every single day. 7. Lastly, I have learnt so much about myself thanks to blogging. Blogging has given me a new life and opened doors for me that were padlocked shut 1 year ago. It has bought out my ambitious and creative streak and built my confidence back up to where it should be. I still have bad days but when I do I focus on an area of my brand that needs attention and just like that I am back to Rebekka again. The only thing I regret is not starting my blog sooner, I was born to do this, I know that now, and I am so glad it didn't take me another year longer to get the courage to start a blog. I hope you have enjoyed this post and will continue to enjoy my blog long into 2016 and beyond. 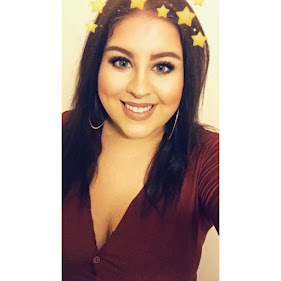 I have so many exciting things planned for this year so make sure you are following me on either social media or following my blog, thank you again for your support!! Happy Blogiversary. Seriously - go and look at some of my early photos - much worse than yours on here (I think yours are good!). My weakness too!